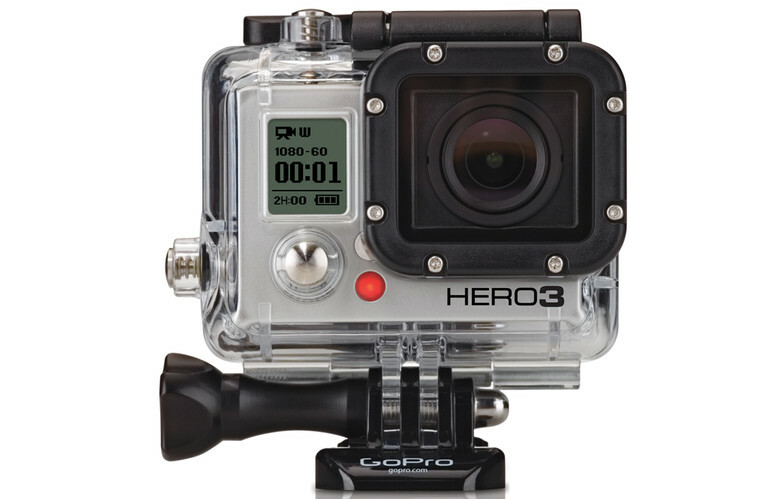 GoPro Hero3 Available November 14th | FISHING FURY - A Fishing Blog with Attitude! The GoPro Hero2 was just a small improvement over the original Hero, but the Hero3 has made a big jump in both quality and style. We skipped the Hero2 since we already have a few Hero’s at our disposal, but I’d really like to get my hands the next GoPro. The Hero3 is 25% lighter and 30% smaller than the earlier models, weighing a mere 2.6 ounces. This little camera features a new lens that offers less distortion and improved sharpness. You can expect increased video quality and speed as well as high quality 12MP stills. The Hero3 will be available in three editions, with the Black Edition boasting the best specs, including a Wi-Fi remote. The WIFI remote is nice but IMO it’s not even notable when you consider that the Black Edition shoots in 4K video. That’s over 8MP per frame! The 4k video is pretty amazing, but its only 12 fps. Honestly I’m more excited to use the higher frame rate at the lower resolutions. Not to mention I’d be in need of higher capacity memory cards and hard drives if I was using 4k!